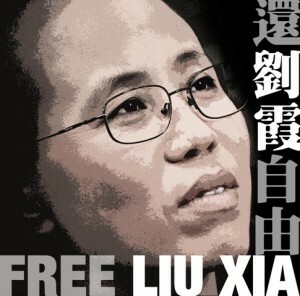 Women's Rights in China | Jing Zhang: Hold on, Liu Xia! Jing Zhang: Hold on, Liu Xia! March is Women’s History Month. We commemorate all the women who have made outstanding contributions to the Women’s Liberation Movement. Further more, we are concerned about women who are mentally and physically tortured under authoritarian governments. Liu Xia, a woman and a wife, has been under arbitrary house arrest for three years under order from the Chinese government, solely due to the fact that her husband is a Nobel Peace Prize recipient. Her health is deteriorating day by day. 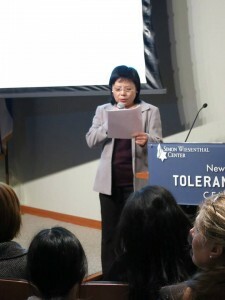 Women’s Rights in China, Committee for US International Broadcasting and Visual Arts Guild NYC, and a number of grass roots NGOs in China and the U.S., are organizing this event to raise awareness of Liu Xia’s at the Museum of Tolerance in New York, hoping to draw international attention and gain public support through discussions, so Liu Xia can break free from the Chinese Communist Regime’s political persecution and human rights violation as soon as possible, regain the basic freedom which was originally hers, and can live with dignity. However, in mainland China, Liu Xia is only one of the hundreds and thousands of people who have been deprived of personal freedom and suffer from all kinds of human rights persecution. Many women who fight for their rights and have legitimate demands are being detained, abused and persecuted by authorities, such as Wu Yuqin, Fan Yanqiong, Wang Lihong, Liu Shasha, Liu Ping, Cao Shunli, Wang Yi (Cheng Jianping), Su Changlan, Ma Shengfang, Ye Haiyan so on, as well as hundreds and thousands of women who suffer from forced abortion and induced labor. All of these women are still suffering under the Chinese Communist dictatorship and a male-dominant society. Recently we were shocked to learn about the sudden death of Cao Shunli, a human rights activist who was forcefully taken away by the police when she was boarding a plane en route to Geneva for a short-term human rights training workshop organized by the United Nations. 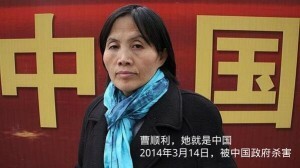 Ms Cao was detained by Beijing police for six months. We mourn the loss of a brave sister who died under the persecution of a dictatorship. 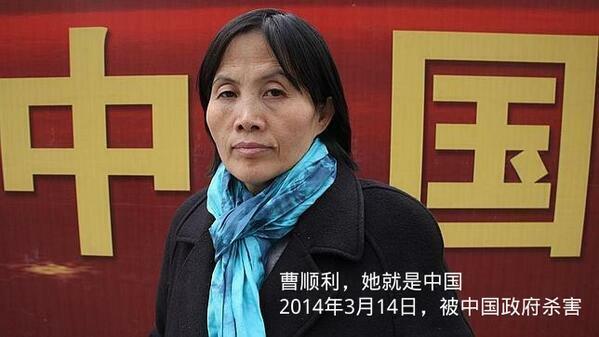 Cao Shunli wrote a sad and grand song about Chinese human rights with her life and blood. Cao Shunli, a human rights activist. Women’s Rights in China will always remember these sisters who have paid huge prices. Some of these women have even sacrificed their lives in their pursuit of freedom and their struggles to protect their rights. We also urge American First Lady Michelle Obama to follow the principle that human rights are above all. Mrs. Obama is to visit China on March 19th. 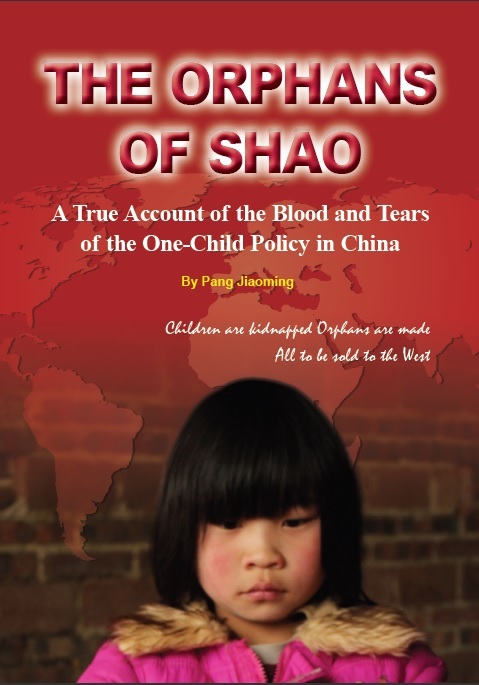 We urge her to raise the serious human-rights problem in China that has arisen in recent years, especially the violation of women, children and petitioners. Mrs. Obama should urge the Chinese government to release all the prisoners who were arrested for carrying out their constitutional rights of speech, assembly and association. The road of China’s human rights, freedom, democracy, and women’s liberation movement is treacherous, but we firmly believe that the sunshine will arrive, and we’re fully confident to walk out of this darkness before dawn.